S -6° 12' 52" and E 106° 50' 42"
Jakarta in Jakarta Special Capital Region with it's 8,540,121 inhabitants is a city in Indonesia. It's the capital of this country. Local time in Jakarta is now 02:28 AM (Tuesday). The local timezone is named Asia / Jakarta with an UTC offset of 7 hours. We know of 7 airports in the vicinity of Jakarta, of which one is a larger airport. The closest airport in Indonesia is Halim Perdanakusuma International Airport in a distance of 5 mi (or 8 km), South-East. Besides the airports, there are other travel options available (check left side). There is one Unesco world heritage site nearby. It's Ujung Kulon National Park in a distance of 123 mi (or 199 km), North-West. If you need a place to sleep, we compiled a list of available hotels close to the map centre further down the page. Depending on your travel schedule, you might want to pay a visit to some of the following locations: Cibinong, Cikarang, Tigaraksa, Garisul and Kadaka. To further explore this place, just scroll down and browse the available info. Let's start with some photos from the area. For Sale: Rumah baru di Green Lake City, Cluster Asia tipe Hokkaido, ukuran 6X15, 2 lantai, 4+1KT, 2KM, 2200watt Untuk info : Ms. Cindy di 0812-952-2345 / 021-32700 848. Temukan Properti Impian. Jejaring media sosial twitter mendukung upaya Pemerintah Provinsi (Pemprov) DKI Jakarta untuk mewujudkan Jakarta Smart City khususnya dalam rangka menyukseskan program-program pembangunan. Located at -6.21817, 106.831 (Lat. / Lng. ), about 1 miles away. Located at -6.22703, 106.827 (Lat. / Lng. ), about 2 miles away. Located at -6.186, 106.829 (Lat. / Lng. ), about 2 miles away. Located at -6.19563, 106.822 (Lat. / Lng. ), about 2 miles away. Kolese Kanisius is a high school in Menteng, Central Jakarta, Indonesia. It was established in 1927 by a group of Jesuit pastors, and is a Jesuit school. Since its establishment, the Catholic school has only accepted male students. Located at -6.18552, 106.835 (Lat. / Lng. ), about 2 miles away. Plaza Indonesia is located in central Jakarta and is often referred to as "PI". Plaza Indonesia is the first high end shopping centre in Indonesia which opened its doors in mid-1990. Plaza Indonesia is located on the prominent corner of Jakarta's famous landmark, The Selamat Datang (Welcome) Statue. Located at -6.19307, 106.822 (Lat. / Lng. ), about 2 miles away. State Elementary School Menteng 01 (Indonesian: Sekolah Dasar Negeri Menteng 01), also known as SDN Besuki or the Besuki school, is an Indonesian public school in Menteng, Jakarta. The school was founded in 1934 as Carpentier Alting Stichting Nassau School (CAS) by the Dutch colonial administration and was reserved for the children of the Dutch and Indonesian nobility. The Indonesian government took over administration of the school in 1962, and it was then run by the Raden Saleh Foundation. Located at -6.19869, 106.829 (Lat. / Lng. ), about 2 miles away. Jatinegara Station is a railway station in Jakarta. The station is the main entrance to Jakarta from cities east of Jakarta. The station is located at Bekasi Barat Raya street at Jatinegara, East Jakarta. Jatinegara station is operated by the PT. KAI - Operational Division 1 (Daop 1) Jakarta. Located at -6.21513, 106.87 (Lat. / Lng. ), about 2 miles away. At around 07:47 until 07:57 WIB on 17 July 2009, the JW Marriott and Ritz-Carlton Hotels in Jakarta, Indonesia, were hit by separate bombings five minutes apart. Three of the seven victims who were killed were Australians, two from The Netherlands, and one each from New Zealand and Indonesia. More than 50 people were injured in the blasts. Both blasts were caused by suicide bombers, who checked into the hotels as paying guests several days earlier. Located at -6.22576, 106.827 (Lat. / Lng. ), about 1 miles away. Located at -6.2139, 106.835 (Lat. / Lng. ), about 1 miles away. The National Library of Indonesia (Indonesian: Perpustakaan Nasional Republik Indonesia, PNRI) is the legal deposit library of Indonesia. It serves primarily as a humanities library alongside several others holding national responsibilities for science and agriculture. The national library was established in 1980 through a decree of the Ministry of Education and Culture and the consolidation of four different libraries. Located at -6.19853, 106.852 (Lat. / Lng. ), about 1 miles away. The Great General DR. Abdul Haris Nasution Museum (officially known as Indonesian: Museum Sasmitaloka Jenderal Besar DR. Abdul Haris Nasution) is a museum in Jakarta, Indonesia. The museum showcases life, career and works of Great General Abdul Haris Nasution, the country's prominent military figure and the then Indonesian Armed Forces Chief of Staff who barely escaped capture and eventual assassination at the hands of the alleged communist coup movement in 1965. Located at -6.193, 106.833 (Lat. / Lng. ), about 2 miles away. The Sasmita Loka Ahmad Yani Museum houses a collection from Ahmad Yani and some dioramas about the G-30-S/PKI, 30 September 1965. The museum is located in jalan Lembang 58 or jalan Laturharhari 65, Central Jakarta, Indonesia. The museum is open free to public from Tuesday until Sunday, from 08:00 WIB until 14:00 WIB. Located at -6.20459, 106.837 (Lat. / Lng. ), about 1 miles away. Karet Bivak is a cemetery in Jakarta, Indonesia. It is the second largest in the city. Located at -6.20269, 106.814 (Lat. / Lng. ), about 2 miles away. Located at -6.2, 106.85 (Lat. / Lng. ), about 1 miles away. Cikini is an administrative village in the Menteng district of Indonesia. It has a postal code of 10330. Located at -6.18333, 106.833 (Lat. / Lng. ), about 2 miles away. Gondangdia is an administrative village in the Menteng district of Jakarta, Indonesia. It has a postal code of 10350. Located at -6.2, 106.833 (Lat. / Lng. ), about 1 miles away. Gondangdia Station is a mainline railway station in Gondangdia, Menteng, Central Jakarta, Indonesia. Located at -6.18556, 106.832 (Lat. / Lng. ), about 2 miles away. The Satriamandala Museum (also spelled Satria Mandala Museum) is the main museum for the Indonesian Armed Forces. Opened on 5 October 1972, it is located on 5.6 hectares of land in South Jakarta and holds numerous artefacts, weapons, and vehicles. Located at -6.23143, 106.819 (Lat. / Lng. ), about 2 miles away. Jalan MH Thamrin is a major road in Jakarta which runs through the Central Business District. Jalan MH Thamrin is part of Jakarta Car Free Days, which means it is closed from 6:00 until 11:00 to traffic every Sunday. Located at -6.1905, 106.823 (Lat. / Lng. ), about 2 miles away. Jalan HR Rasuna Said or Jalan Rasuna Said is the name of one of the main streets of Jakarta. It is located in the Central Business District. 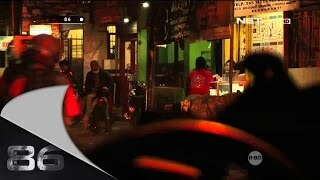 The road was named after a National Hero of Indonesia is Rasuna Said, H.. The road runs 4.9 miles from Menteng, Menteng, Central Jakarta to Tendean, Prapatan Mampang, South Jakarta. Located at -6.22691, 106.84 (Lat. / Lng. ), about 1 miles away. The Embassy of Colombia in Jakarta is the diplomatic mission of the Republic of Colombia to the Republic of Indonesia; it is headed by the Ambassador of Colombia to Indonesia. It is located in the village of Gelora in the sub-district of Tanah Abang of Central Jakarta, near the Jakarta Convention Center, the Gelora Bung Karno Stadium, and the Wisma 46 building, precisely at Jalan Jenderal Sudirman Kav 47 at the intersection of Jalan Garnisun. Located at -6.21688, 106.816 (Lat. / Lng. ), about 2 miles away. Universitas Siswa Bangsa Internasional (also known by the acronym USBI) is an international university located in Jakarta, Indonesia. 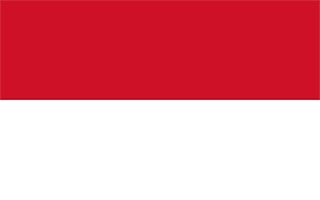 It is the first Indonesian university to offer an accredited U.S. degree entirely within Indonesia. Located at -6.24781, 106.845 (Lat. / Lng. ), about 2 miles away. The Kunstkring Art Gallery is a heritage building located in Central Jakarta. Built in 1914, following the design of Dutch architect P.A.J. Moojen, it originally housed the local art circle. After several changes of use, in 2011 the building has been restored, with the upper floor used as an art gallery while the ground floor has been converted into a restaurant. Located at -6.1889, 106.833 (Lat. / Lng. ), about 2 miles away. Jakarta Planetarium is a public planetarium, part of the Taman Ismail Marzuki in Jakarta, Indonesia. The complex also contains an observatory, known officially as Jakarta Planetarium and Observatory (Planetarium dan Observatorium Jakarta). It is the oldest of the three planetaria in Indonesia. The second planetarium is located in Surabaya, East Java. The third planetarium is located in Kutai, East Kalimantan. Located at -6.19, 106.839 (Lat. / Lng. ), about 2 miles away. These districts belong to Jakarta. These are some bigger and more relevant cities in the wider vivinity of Jakarta.